There is oft-used adage in HR management that “people accept jobs because of the organization and they leave jobs because of their boss.” The interwebs, podcast libraries and bookstores are filled with literature and research on what makes people good managers and how bad managers can do better. A recent article by Stephanie Vozza in Fast Company about managing up to deal with difficult bosses got me thinking about not just the employer-employee relationship but the consultant-client relationship as well. Vozza interviews Dana Brownlee a corporate trainer, certified project management professional, and the author of a new “how to handle your boss” handbook called The Unwritten Rules of Managing Up. What happens though if your “boss” is your client and you are their consultant. One of the hallmarks of an experienced consultant with good project management skills is the ability to anticipate a client’s needs and be proactive about finding solutions. It isn’t always that easy though. The difficult boss for an organization’s employee could be the same difficult client for an outside consultant. Therefore, it’s important for consultants to also be able to understand different management styles and figure out how to address stressful client situations with managing up skills. 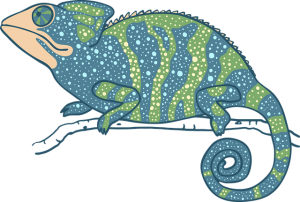 The Clueless Chameleon is the client who keeps changing their mind about what they want from you or what they think they need for deliverables. It’s the kind of client who keeps moving the goal post. The result can mean that the consultant feels as though they can never get it right or that anticipating needs is a never-ending quest. Using Brownlee’s advice, one might start a new project with this client by asking them to finish this question: “I would consider this project a success if …”. By doing this you not only get them to think with the end in mind, but you can both focus on a desired outcome that you can agree to. Once this is clarified, write it down and send it back to the client. In fact, Brownlee recommends recapping meetings and conversations with an email, e.g. “When we met today we decided on the following next steps …” or something of that nature. 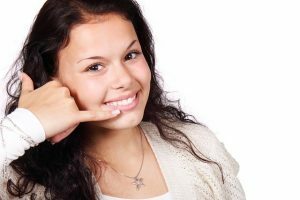 In this way you give the client an opportunity to confirm what you heard and you have important documentation should it ever become necessary. Another client/boss type is The Micromanager. This is one I am very familiar with and Brownlee’s advice here is very good. A Micromanager is often someone who is anxious about the project, the outcomes or something else altogether. One of the best ways to help them manage their anxiety (and by extension your own stress) is to communicate often. Suggest weekly check in calls and send progress emails to let them know you’re on it. Remember, consultants are out of the client’s sight; unlike employees who probably share office space with them. If they can’t see you working (even though you are, just somewhere else) then they start to worry that something isn’t getting done. Let them know in small ways that they can feel confident that things are moving along even when you’re not there. Communication is key. Also keep in mind that the kinds of projects that consultants are often hired to undertake can represent high stakes issues for the client. Know their audience. If it’s an HR audit there could be a board of directors waiting for a study’s results in order to make key organizational decisions. Maybe a major foundation is funding the project for which you were selected, the client could very well be anxious about keeping their funder happy. Or it could be something that will have implications for a broader audience that could be critical, a citywide master plan or community survey. Getting to understand this context can not only help you manage up, but help you make your client shine with outcomes that support their needs.